Ridley Weekend Promotion - Extra 10% Off Save an extra at the checkout. The Ridley X-Trail C Rival-1 is a true all-road carbon gravel bike. Featuring a slightly more relaxed geometry than Ridley’s road bikes or Cyclocross race bikes the X-Trail is designed with gravel riding and racing in mind when you’re spending long hours in the saddle negotiating rough tracks and un-surfaced lanes. The X-Trail C is Ridley’s carbon model – the lightest of the X-trail models; it’s race-ready to tackle your next gravel event and is designed to match your dedication level. 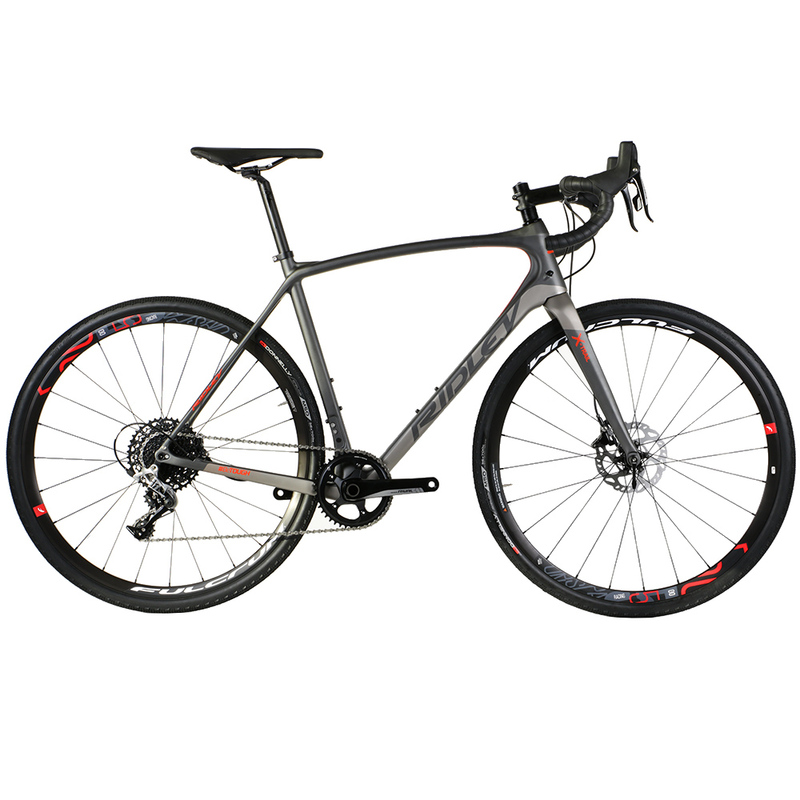 Equipped with a simple to use Sram Rival groupset and safe, predictable hydraulic disc brakes, it is prepared for all weather conditions in all terrains. The Ridley X-Trail can easily handle tires of up to 36mm wide, with ample space built into the frame to fit mudguards too. Take it straight from road to off-road - the versatile X-Trail Carbon feels light and responsive on tarmac and stable & predictable on more demanding off-road terrain. On those long, straighter sections of trail, it rides like a dream, with a comfortable geometry putting you in a neutral position that you’ll be able to hold for hours on end. No matter the terrain you encounter, the Ridley X-Trail C Rival-1 will ensure that your ride is all about fun!